Liteline 3" LUNA LED round gimbal fixture, 7W, 2700K, 90CRI, dimmable. Suitable for insulated ceilings, white. Introducing, the new Luna Gimbal by Liteline. 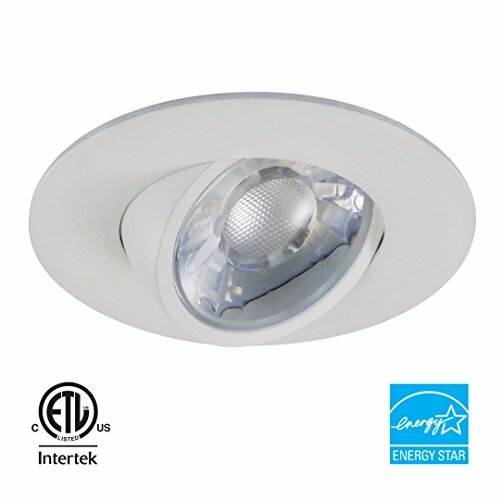 With easy DIY installation, the Luna provides superb light output and energy efficiency in its sleek design. IC rated for direct contact with insulation and great for use in damp locations. With a lifetime warranty, Luna LEDs are 80% more efficient than incandescents, reduce lighting costs while enhancing performance.